I spotted this Quercus petraea growing in the depression of a conifer tree in a huge coniferous plantation in the Brecon Beacons. 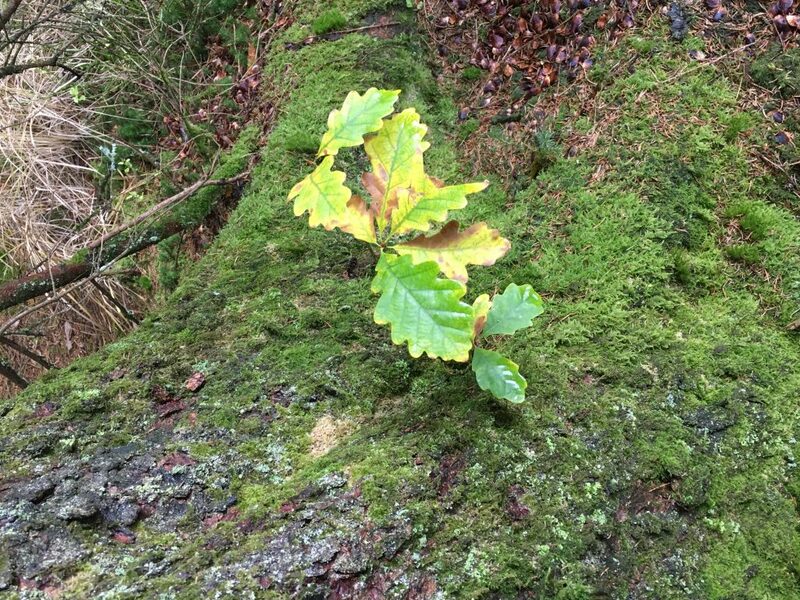 There isn’t an oak tree in sight, but regeneration from the old seed bank from the original woodland species is always a give away to the land’s natural habitat. It reminds me of an ecological evaluation I carried out some 29 years ago in Shropshire, which was an oak woodland, but my application of the (brand new) NVC system revealed its true identity as an ash woodland – as inter alia, the only seedlings growing were ash in soil disturbed by a large badger sett. This entry was posted in Uncategorized on November 10, 2016 by webmaster.